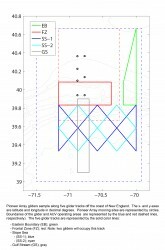 Two kinds of Mobile Assets survey the area in and around the array of moorings at the Coastal Pioneer Array – Coastal Gliders and Coastal Autonomous Underwater Vehicles (AUVs). 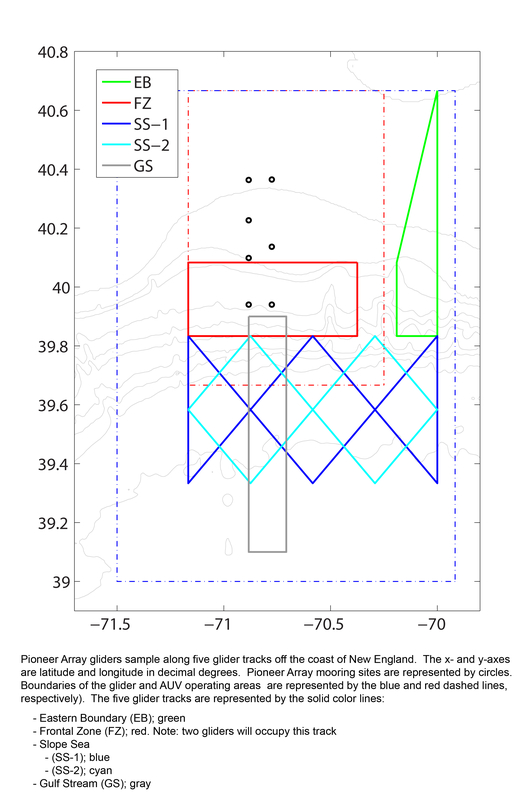 An array of 6 Coastal Gliders (Teledyne-Webb Slocum Gliders) sample large, mesoscale features through a broad region (130 x 185 km) of the outer continental shelf between the shelf break and the Gulf Stream. The role of these gliders in monitoring this broader area is to resolve rings, eddies and meanders from the Gulf Stream as they impinge on the shelf break front. These Teledyne-Webb Slocum Gliders fly through the water column along saw-tooth paths, penetrating the sea surface and diving down to a maximum depth of 1000 meters. An array of two Coastal AUVs (REMUS-600 AUVs) travel along transects across the shelf-break frontal system extending beyond the mooring array, covering an area approximately 80 x 100 km in size centered on the array of moorings. The primary role of the AUVs is to resolve cross- and along-front “eddy fluxes” due to frontal instabilities, wind forcing, and mesoscale variability. 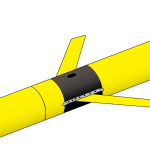 These AUVs travel along saw-toothed transects, penetrating the sea surface and diving down to a maximum depth of 600 meters.